Bad credit merchant accounts – for those businesses or business owners with a poor credit history who are seeking credit card processing services – are much easier to locate today than in the very recent past. Below, we first offer a brief discussion of some of the issues facing both the merchant and the processing bank. Then, in order to make it really easy for businesses suffering from a poor credit history, we provide our recommendations as to 4 leading providers of credit card processing services to merchants with a bad credit history. Until recently, obtaining a merchant account was extremely difficult for those no credit history – or a poor credit history. The principal reason for the difficulty was the fact that most merchant accounts were negotiated directly with banks, which are heavily regulated and are strictly controlled in their lending activities.However, over the past 15 or so years, independent sales organizations (ISO’s) entered the merchant account market, as middlemen between the banks and merchants – assuming a portion of the risk involved in providing credit card processing services to those with bad credit. As a result, today it is much easier for the latter to obtain a merchant account despite their credit history(or non-history). The ISO’s earn their money (and compensate for the risk they assume) by tacking on fees to those set by the credit card companies and banks. Basically, unless you are presently in bankruptcy (or have only recently been discharged), are listed in the VISA/MasterCard watch list of those who have a bad processing history, have been convicted of fraud, or are carrying on a high risk business, you can likely locate a number of merchant account providers who can help you. As part of being approved for a bad credit merchant account, you might have to post a reserve(a fixed sum, or an ongoing portion of your monthly sales), to serve as security for the provider. You may also find that the provider limits the monthly credit card sales volume you can accept. If this is the case, the limit may be raised, or completely eliminated, after you have demonstrated a good processing history for a few months. In addition, the length of time to approve your merchant account may be a little longer than the normal few days. An alternative for those who still have trouble being approved is to establish an account with a third party processor. Take a look at our third party processing solutions for providers who will let you utilize their own merchant accounts to process your credit card orders. Can approve most business types. Offers a full selection of card processing services, including real-time, manual online for phone/mail order businesses & retail services. Declines few applicants for merchant accounts, even those with a bad credit history. Free software to accept online payments. Many applications are approved the same day. And should you be turned down, you still keep the Checks by Web, Phone and Fax Software set-up at absolutely no cost, just for applying. If you are not in bankruptcy, you may be approved. As long as you process under $5,000/month in credit card sales, at an average order amount less than $250, credit is not an issue. And if your monthly volume is above $5,000, credit is secondary to the type of product you sell. For start up companies with no credit history, the merchant account bank will examine your personal credit history, not that of your company. Can accommodate almost all applicants, even those with less than perfect credit. You will receive a free payment gateway for your internet merchant account – or, if you are in retail business, a free credit card processing terminal (a $495 value). No lease payments. No upfront payment. For internet processing, FCCP supports most available shopping cart software, so it easily integrates with most existing ecommerce solutions. Fraud management system lets you maximize sales – and minimize your risk. One of America’s fastest growing merchant account providers. 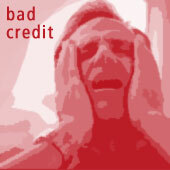 Approves many bad credit merchant accounts. Auto-Approval program: Offers automatic approval, if you meet its guidelines and are not a ‘prohibited’ business. Handles a wide selection of bad credit merchant accounts, including internet, telephone/mail order, retail & wireless credit card processing solutions. For information on other credit card processing costs you may incur with your bad credit merchant account, see our Fees Discussion. Another excellent resource for bad credit merchant account providers is The Merchant Account Advisor website.